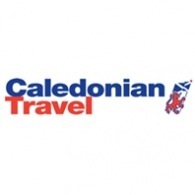 Average rating of 0.0 for all Caledonian Travel trips. Time to enjoy the delights of lovely Amsterdam. Included excursions visiting Innsbruck, Feldkirch, the Silvretta Pass and Vipiteno. Excursion to Santa Margherita, Portofino, Monte Carlo and San Remo. Three inclusive excursions to discover the very best of the Rhine Valley including a ride on a cable car to visit Ehrenbreitstein Castle, then a visit to Lahnstein Castle. Visit The Hague & The Vankleef Distillery. Free time for sightseeing in Paris. Inclusive excursion to Baden-Baden and beautiful Freudenstadt. Included excursions to beautiful Ghent and medieval Bruges.